Construction and demolition work will begin in the Asian Library on Thursday, May 2. Access to the upper floor of the Library will remain restricted. Essential items in the library’s collection have been relocated to the lower floor to facilitate use, while all other material has been moved off-site and will be inaccessible for the duration of the construction. Room bookings for meeting rooms will suspended due to noise transfer to the rooms throughout construction. The renovation, which is expected to be competed in the late Fall of 2019 will allow for better service delivery, study spaces, and programming spaces for the Asian Library as well as several improvements for the collection. The Asian Library is a hub of scholarship, learning and community connections, where research meets community. The Asian Library’s collections, totaling over 684,000 volumes across Chinese, Japanese, Korean and Indic languages, provide key resources in support of teaching and research of Asian studies. The Council on East Asian Libraries consistently ranks UBC among the best in the world—#1 in Canada and #12 in library holdings across North America. The Asian Library’s rare and special materials further distinguish it as a top-tier research library. 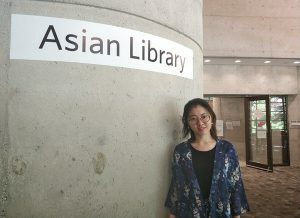 For more information about the Asian Library, please visit us at http://asian.library.ubc.ca/. Provides reference, information services and collection development in support of Japanese studies. Assumes responsibility for liaison with scholars working with Japanese language materials. Provides instruction and assistance in the use of information resources. Supervises the handling of Japanese materials. 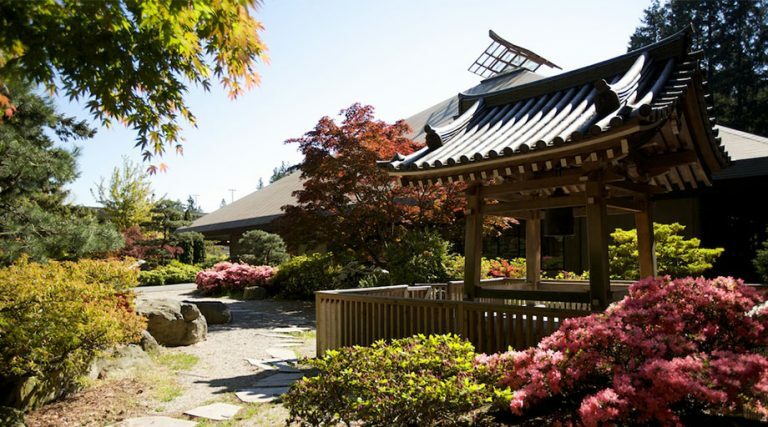 Acts as liaison with the Japanese specialists at the University and the Japanese-Canadian community. Participates in selection, configuration and presentation of electronic resources in Japanese languages. Participates in the development of library policy, procedures, and services as required. Works collaboratively with library colleagues to strengthen system-wide practices and initiatives. Participates in library committees and contributes to the university’s goals, including those related to diversity and inclusion. May be required to work evenings or weekends. Performs other assigned duties and related projects. Reports to the Head, Asian Library. Consults with library colleagues, faculty members, Digital Initiatives and the Library Development Office, as necessary. Works with the Technical Services staff on the cataloguing and processing of Japanese language materials. May supervise the work of library support staff and student assistants. Excellent proficiency in reading, written and spoken Japanese, as well as an excellent command of spoken and written English. Demonstrated understanding of the Modified Hepburn Romanization System. Excellent interpersonal skills, with a strong track record in working collaboratively with colleagues and supervisors. Demonstrated interest in issues facing libraries and academic institutions such as open access, digital scholarship and metrics. Strong computer skills, including word-processing for English and Japanese. Knowledge of current collections trends and databases related to Japanese Studies. Demonstrated understanding of Japanese Studies bibliography and resources. Demonstrated ability in creating, planning and carrying out projects, both independently and as a member of a team. Experience with electronic information technologies and their applications to reference, as well as knowledge of best practices in online learning pedagogies. Ability to adjust to and accommodate changing demands within Libraries and academic institutions. Evidence of active participation in professional or community organizations. Models and demonstrates good communication through active listening and appreciative inquiry and open to providing and receiving timely, constructive feedback. Listens to, encourages and expresses creative and innovative ideas. Open to experimenting with and improvising new ways of approaching processes, tasks or problems. Working knowledge of Chinese or Korean. Advanced degree in Asian Studies. Experience with collections development for both print and electronic resources. Knowledge of RDA, AACR2, LCSH, LC Classification. Develops and participates in instructional programs related to the Japanese language collection and the use of information sources. Undertakes specialized instructional programs for both undergraduate and graduate learners. Prepares guides and handouts in electronic and paper formats and organizes user groups on the advanced use of electronic resources. Participates in Library orientations and bibliographic instruction programmes for new students, faculty, and staff. Provides comprehensive reference and research services in Japanese studies. Develops web resources to support and extend reference services. Assists users in locating Japanese materials from other East Asian collections in North America as well as Japan and facilitates inter-library loans when required. Acts as liaison between the Asian Library and the Japanese specialists at UBC in matters concerning the Japanese collections and Library services and other units in the Library System in matters concerning Japanese materials. Translates Japanese into English and English into Japanese within the framework of the services and practices of the Asian Library. Provides guidance to scholars and students on data analysis tools relevant to Japanese Studies and digitized collections. Continually builds on expertise in this area through a combination of self study and professional development opportunities. Works closely with colleagues in Rare Books and Special Collections (RBSC) on projects concerning Japanese language rare and archival materials. Collaborates with RBSC colleagues on collection development issues. Coordinates the digitization of rare materials in conjunction with RBSC. Selects material for the Japanese language collections and both print and electronic material from the collection for storage, according to curricular and research needs of faculty and students. Suggests new print and electronic serials titles based on faculty needs and monitors and evaluates the Japanese language periodical collections. Assists in the development of collection policies. For electronic material in Japanese, works with the Head and other library staff to create access and resolve user support issues, which may include licensing, systems configuration, presentation and evaluation. Selects monographs and serials in print and electronic format. Consults with the Head and the AUL, Collections Management in cases of expensive and rare materials. Identifies Japanese language materials that should be moved to a storage facility, or weeded from the collection. Administers the Japanese Government Publications Depository Programme and scans the new shipments before they are sent to other divisions for processing. Maintains and facilitates access to the Japanese special collections. Assesses, selects, and processes Japanese materials received through gift or exchange. Handles book donations from individuals or organizations. Performs monetary evaluations as required. Maintains and facilitates access to the Japanese special collections. Keeps up with literature and research developments in support of the Asian Library. Maintains expertise in electronic information resources and technologies and assists in the acquisition and application of Japanese software for technical services. Advises and assists regarding Japanese monographs and serials for binding. Manages the Japanese book funds and monitors expenditures to ensure consistency with the allocations. Assesses, selects and processes materials received as gifts or on exchange. Does monetary evaluations as required. Works closely with Technical Services staff regarding acquisition and cataloguing of Japanese materials. Organizes community engagement activities or events related to Japan or Japanese Studies. Creates project plans for these activities, including budgetary planning. Contributes to branch-wide initiatives, working together with the Head and other language librarians. Prepares or curates book displays or exhibits on Japan or Japanese Studies. Serves as liaison with the Japanese-Canadian Community. Actively participates in professional associations and bodies related to Japanese studies librarianship. To view the complete job description and to submit an application, please visit the UBC Careers page at http://www.hr.ubc.ca/careers-postings/faculty.php by midnight on July 24, 2018. Register now to join one of our four book clubs, set to run in 2018. Chinese language librarian, Crystal Yin, tells Ming Pao newspaper about the new Asian-language book clubs offered by the Asian Library and alumniUBC.